Eye Movement Desensitisation and Reprocessing (EMDR) is a therapeutic method that now receives worldwide recognition, particularly in the field of, but not limited to trauma. It uses eye movements and other stimuli to facilitate rapid processing of traumatic memories. It is an evidence-based therapy used to help with the symptoms of mental health disorders and in particular PTSD. It is thought that when a traumatic or distressing experience occurs, it may overwhelm normal coping mechanisms. As a result, these unprocessed memories and the accompanying sights, sounds, thoughts and feelings are stored in the brain in ‘raw’ form, where they can be accessed each time we experience something that triggers a recollection of the original event. The goal of EMDR is to reduce the long-lasting effects of distressing memories by engaging the brain’s natural adaptive information processing mechanisms, thereby relieving present symptoms. The therapy uses an eight-phase approach that includes having the patient recall distressing images while receiving one of several types of bilateral sensory input, such as side to side eye movements. An EMDR treatment session with me can last up to 90 minutes. I will move my fingers back and forth in front of your face and ask you to follow these hand motions with your eyes. At the same time, I will have you recall a disturbing event. This will include the emotions and body sensations that go along with it. Gradually, I will guide you to shift your thoughts to more pleasant ones, releasing the trauma and negative beliefs. Twenty-four randomised controlled trials support the positive effects of EMDR therapy in the treatment of emotional trauma and other adverse life experiences relevant to clinical practice. Seven of 10 studies reported EMDR therapy to be more rapid and/or more effective than trauma-focused cognitive behavioural therapy. Twelve randomised studies of the eye movement component noted rapid decreases in negative emotions and/or vividness of disturbing images, with an additional 8 reporting a variety of other memory effects. 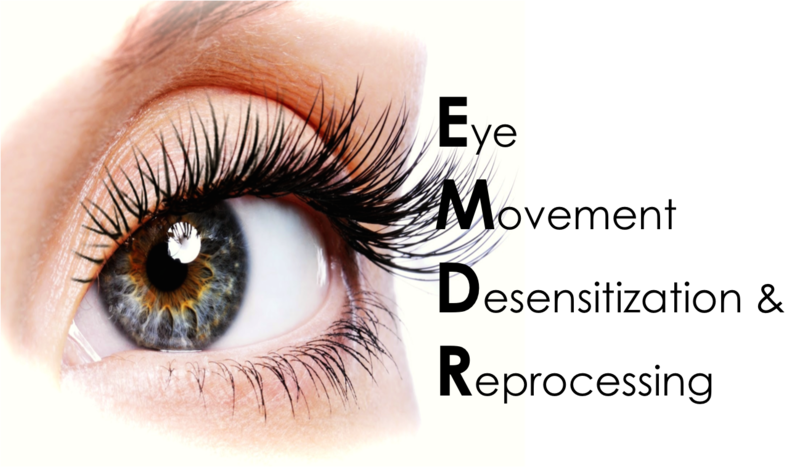 Numerous other evaluations document that EMDR therapy provides relief from a variety of somatic complaints. EMDR therapy provides physicians and other clinicians with an efficient approach to address psychological and physiologic symptoms stemming from adverse life experiences. Clinicians should therefore evaluate patients for experiential contributors to clinical manifestations.